What's all this Ham thing about? Jamon Serrano country ham is a source of great pride among Spaniards. From time immemorial in the mountains of Spain, they have rolled fresh hams in sea salt and hung them from their rafters to cure. A year to eighteen months later the jamones are ready to mount on special stands that are designed so that anyone can stop by, carve a few paper-thin slices, and enjoy an impromptu snack  perhaps with some manchego cheese. It is unlike the smoked and salty Virginia country hams, which have to be soaked and cooked. And it is even significantly different from Italian prosciutto, which is cured for a few months with a coating of lard. The Spanish jamón serrano has distinctly more flavor, and significantly less salt than country ham and less fat than prosciutto. Jamón serrano is more than a delicacy in Spain; it is a normal part of every familys life. Every tapas bar and neighborhood café has their own hams. During the Holiday Season there are literally hundreds of them hanging from the rafters of major food stores for the holiday shoppers. What is the appeal? Jamon Serrano is a flavorful, natural ham, cured in the country air. This extended curing transforms the ham, imparting a deep flavor and aroma. This lengthy curing also means it is much less fatty and has a firmer bite than Italian prosciutto. You can serve it sliced paper-thin with cheese and olives, or use it to flavor your favorite Spanish recipes. The secret to jamon lies in its curing, recreating the effect of traditional techniques. This tradition is kept alive in rural areas where in early winter, family and friends gather to slaughter their livestock in preparation for winter months. The hams are placed in sea salt for a brief period of time  approximately one day per kilo  and then they are strung up. They are allowed to experience the changes of temperature as the seasons progress. The right time to eat them is when an experienced ham-master inserts a long splinter of cow bone and whiffs the jamón, like a connoisseur of wine who sniffs the cork. Until recently there were no Serrano hams in the U.S. and we are proud to carry all that are available. Whole hams are great for parties and family get-togethers, while a package of slices is convenient and great to serve at a moments notice. However you serve it, jamon serrano will add the flavor of Spain to your home. 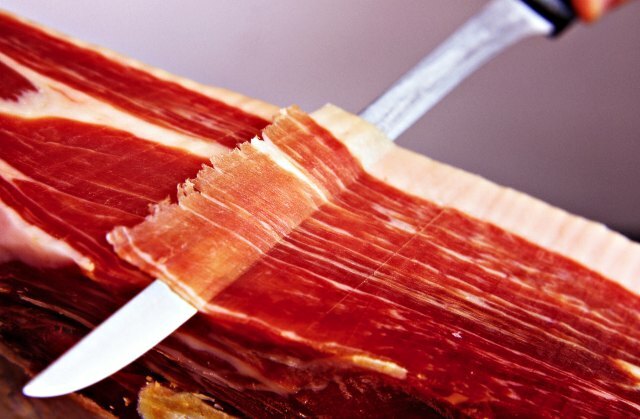 Slicing and caring for Jamon serrano: Jamón Serrano ham is the culinary treasure of Spain. Spaniards enjoy more ham per person than anyone in the world. A whole jamon can be stored in your kitchen and used daily as tapas or in recipes. It is also a great conversation piece for parties and get-togethers. The Quest for Jamon Iberico: We have been on a quest for the finest of all hams, Jamón Iberico, since we started our business. Like the Beluga caviar or Kobe beef, "Jamón Iberico" is the ultimate of its kind. 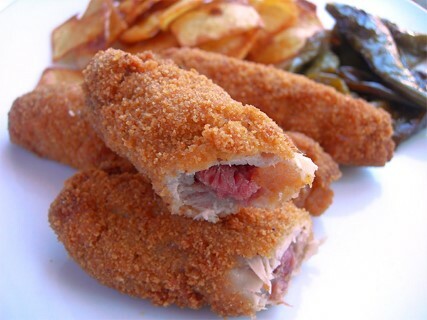 Spanish Ham Croquettes: Croquetas are a common sight on bar counters and in homes across Spain, served as a tapa, light lunch, or a dinner along with a salad. The jamon serrano in this recipe could be replaced with chopped hard-boiled eggs, shredded salt cod, minced shrimp, chopped chorizo, cheese, or just about any vegetable. 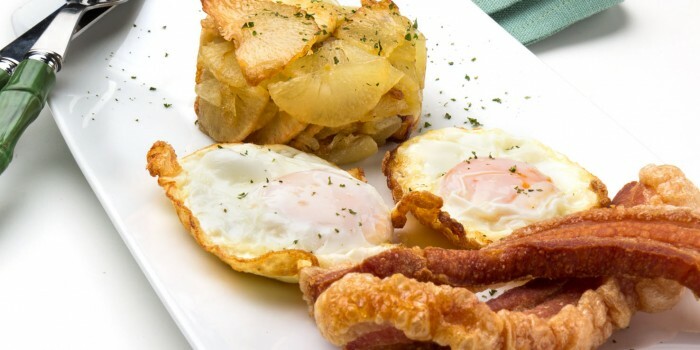 Huevos con torreznos: this the actual Spanish equivalent for Eggs and Bacon. 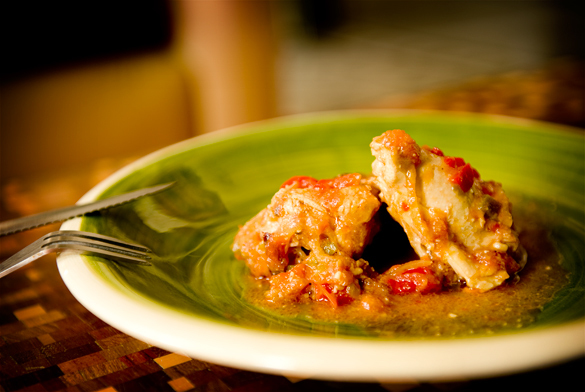 Extra flavour, but just the same energy as the classic British breakfast!